I-70 to exit 176 (main Vail exit). Travel south (towards the ski mountain) through two roundabouts and continue on Vail Road. At the Stop Sign intersection, continue straight. 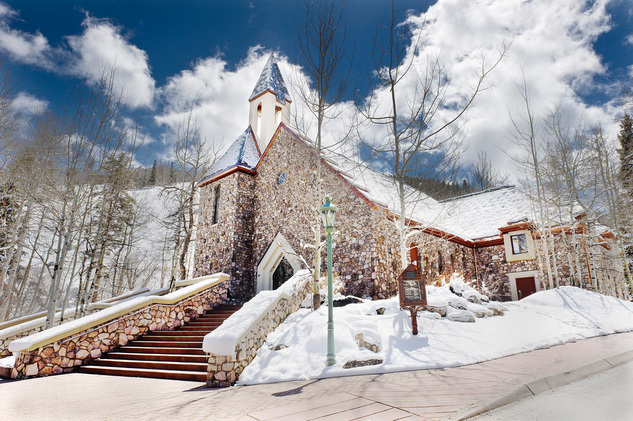 You will see Vail Interfaith Chapel on your right just past the First Bank. I-70 to exit 163. Head south on Edwards Access Road through two roundabouts to the stoplight at Highway 6. Turn right onto Highway 6 and drive approximately 2 miles to the Edwards Interfaith Chapel, which will be on your left. I-70 to exit 167. Travel south through three roundabouts and continue south to the Beaver Creek Resort gated entrance. 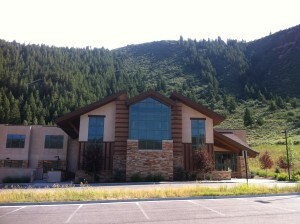 Once through the gate, continue heading south up Village Road approximately 1 mile, past Beaver Creek Village. Just past Beaver Creek Lodge and the entrance to the Village Hall parking lot, go under the bridge and the Chapel will be on your left. The Chapel at Beaver Creek is located at the base of the ski slopes of Beaver Creek Resort, just a short walk to the village hotels, resaurants and shopping. The address is 33 Elk Track. Parking at the chapel is for worshippers only while attending services or other chapel events. There are approximately 15 parking spaces located just above the chapel. Additional parking can be found at Gerald R. Ford Hall on the left just before you get to the chapel. For residents and visitors staying in the Resort, Dial-a-Ride provides complimentary door to door shuttle services within the resorts of Beaver Creek, Bachelor Gulch and Arrowhead. Call 970-949-1938 for pick up (all 10-20 minutes).